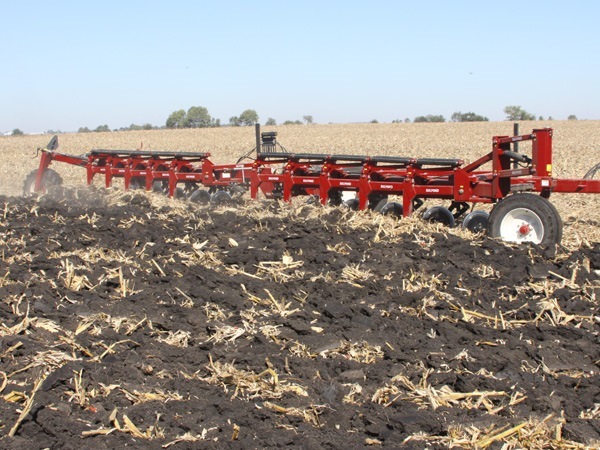 Tillage - Salford 8200 Tandem-Flex Trail plows feature four-way flex, allowing the plow to flex side to side as well as up and down in the center, giving this machine exceptional steering and contouring ability. Are you interested in getting more information or a quote for the 8200? Please fill out the form below and one of our Territory Managers will be in touch shortly. Salford 8200 Tandem-Flex Trail plows feature four-way flex, allowing the plow to flex side to side as well as up and down in the center, giving this machine exceptional steering and contouring ability. 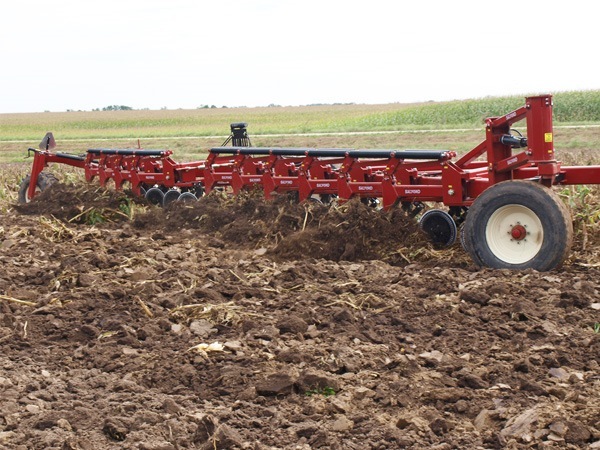 With models from 7-14 bottoms, the 8200 is ideal for medium to large farming operations. The 8200 uses Salford's 4200 model as the back half, giving you the option to run a smaller plow in tighter areas where length and maneuverability are a concern. 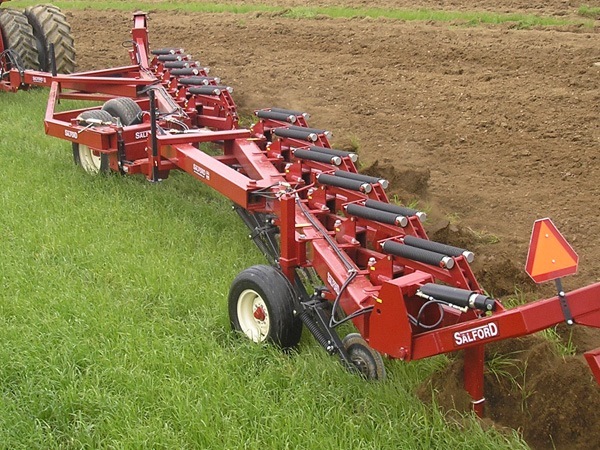 Every Salford plow uses durable frames with 8" x 8" main beams that are built to last. The industry leading under frame and fore-aft clearance means your Salford plow is almost impossible to plug, keeping you in the driver's seat to cover more acres per hour. With the choice of Salford IH style, or European Style S8 bottoms you can match bottoms to your soil conditions and choose to incorporate more residue, or pull Salford plows more easily. 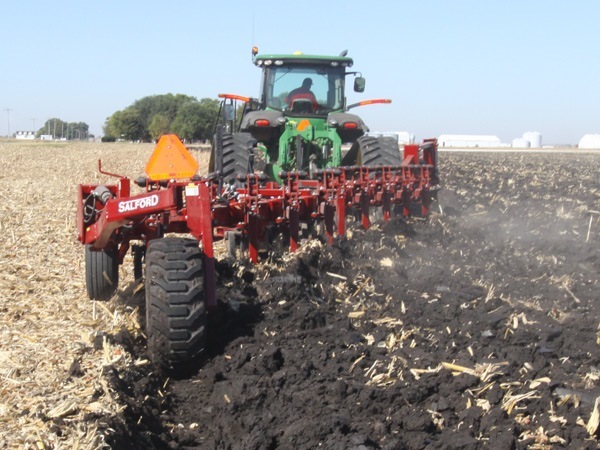 With the choice of Salford IH style, Salford JD style or European Style S8 bottoms you can match bottoms to your soil conditions and choose to incorporate more residue, or pull Salford plows more easily. Salford has made several improvements to its overall plow shank. The new plow shanks are a more durable design and over half of the grease fittings on the machine have been replaced by high-wear bushings for faster, easier maintenance. Also, a re-engineered trip mechanism gives Salford’s new plow shank increased trip pressure helping to hold the shank in hard ground, and the new trip geometry has improved re-entry force after the shank has tripped. The 8200 series of plows features hydraulic steering and manual adjustable plowing widths from 14 to 20” on heavy mainframes, reducing costly downtime.